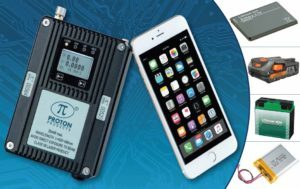 Proton Products welcomes you to see our InteliSENS® SL mini and SLR mini Series laser Doppler speed and length gauges at ICE Europe 2019 Munich, Germany running from the 12th to 14th of March 2019. We will be present to answer any questions that you may have. 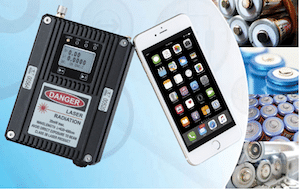 The InteliSENS® SL mini and SLR mini Series laser Doppler speed and length gauges are the smallest, highest-performance and most economical non-contact laser Doppler speed and length gauges optimized for sheet materials and converting-industry applications. Proton Products will be exhibiting in hall A6, stand 956 at the Munich Trade Fair Centre. 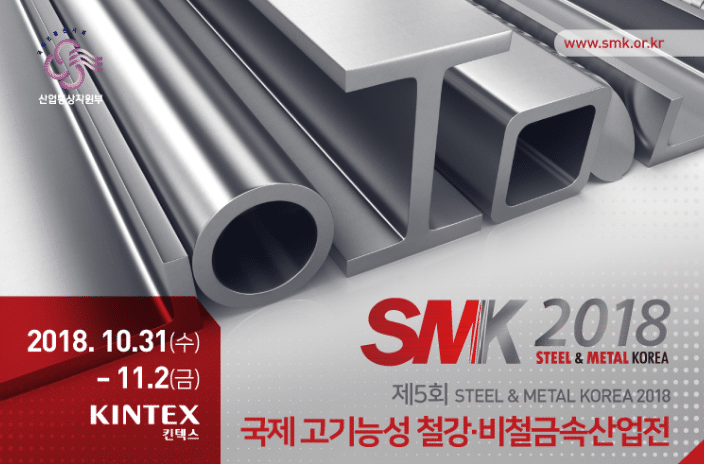 Proton Products welcomes you to see our InteliSENS® SL mini Series laser Doppler speed and length gauges at Steel & Metal Korea 2018 located at KINTEX Seoul running from 31st of October to 2nd November, 2018. Representatives will be present to answer any questions that you may have. Santec will be exhibiting the InteliSENS® SL mini Series in Hall 10, D8. The Battery Show (https://thebatteryshow.com/) takes place in Novi Michigan September 11-13. It will showcase the very latest in advanced battery technology, electric & hybrid vehicles, portable electronics, medical technology, military, telecommunications and utility & renewable energy support. Plan to meet Proton Products on Booth 1860 to see a live demonstration of the InteliSENS SL/SLR Mini Series non-contact laser Doppler Speed and length measurement sensor. This revolutionary sensor is the smallest fully-featured non-contact laser Doppler speed and length sensor on the market with a foot print comparable to a smartphone. The InteliSENS® SL/SLR mini-series sensors are designed to replace cumbersome, inaccurate, high-wear speed and length measurement devices used in the wire and cable industries with a laser Doppler gauge whose accuracy is better than ±0.05%. 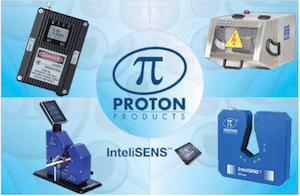 Proton Products Inc. InteliSENS instruments are all Industry 4.0 compliant with their broad suite of communications protocols and flexible automation capability. 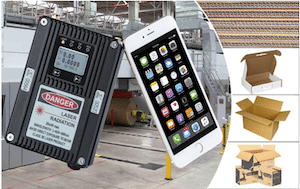 Proton Products fast, accurate measurements with their embedded industry-standard communications and smart technologies form the fundamental building blocks for the successful implementation of Industry 4.0. See live demonstrations of the Proton Products new InteliSENS SL/SLR mini Series speed and length sensor on booth 1860 at The Battery Show 2018. ICE South East Asia is the only dedicated events for the conversion of flexible, web-based materials, such as paper, film, foil and converting in this region. The show will also provide the opportunity for professionals in the field to meet, discuss, learn and networking in an environment that has not been available on this scale before in the region. Proton Products will be giving a live demonstration of its InteliSENS SLR mini Series non-contact laser Doppler speed and length sensor at this show. They will be able to discuss InteliSENS speed & length measurement for paper, film, foil and converting applications and how its leading specifications translate into RESULTS for its customers products and their operations. Techtextil North America assembles all vertical aspects of the technical textile industry: from research and development, through raw materials and production processes through to the conversion processes. Held in conjunction with the exhibit hall, the Techtextil North America Symposium will address market developments, technological information, new technical processes and products, as well as international industry trends. PROTON PRODUCTS will be present at Techtextil 2018 on Booth 2505 with a live demonstration of its InteliSENS SLR mini Series non-contact laser Doppler speed and length sensor for the nonwovens industry. The InteliSENS mini-series addresses the nonwovens challenges by delivering highly accurate speed and length measurements that avoids conventional contact instrument problems including product marking, uneven surfaces, contact dirt accumulation and the extensible nature of these materials. The PROTON PRODUCTS team at Techtextil 2018 will be there to discuss your unique nonwovens applications and demonstrate how to achieve high-accuracy, high reliability speed and length measurement for your products to help improve quality and avoid product give-away or short delivery. AISTech 2018 — Steel’s Premier Technology Event will be held at the Pennsylvania Convention Center, Philadelphia, Pa., USA 7-10 May 2018. More than 7,000 people are expected to attend AISTech 2018 where you can meet PROTON PRODUCT’s personnel to discuss your specific speed and length measurement application requirements for the production and processing of iron and steel. The Battery Show takes place in Novi Michigan September 12-14. It will showcase the very latest in advanced battery technology, electric & hybrid vehicles, utility & renewable energy support, portable electronics, medical technology, military and telecommunications.